'ET' himself in the Luxembourg time trial. 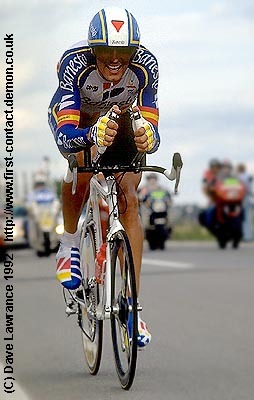 This is one of my favourite photos of 'Big Mig'. It was taken about 1.5km from the finish, on a slight downhill, and he was probably doing at least 55kph. You only get one chance to take a shot like this.